Looking for a job with a future? A career in painting? 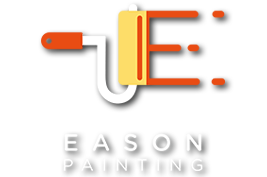 It is the policy of Eason Painting Inc to provide equal employment opportunities to all applicants and employees without regard to any legally protected status such as race, color, religion, gender, national origin, age, disability or veteran status. Who should be contacted if you are involved in an injury? Existence of a criminal record does not constitute an automatic bar to employment, unless relevant to the type of employment. Check those skills that you have. List any other skills that may be useful for the job you are seeking. Enter the number of years of experience, and circle the number which corresponds to your ability for each particular skill. I authorize Eason Painting Inc to contact former employers and educational organizations regarding my employment and education. I authorize my former employers and educational organizations to fully and freely communicate information regarding my previous employment, attendance, and grades. I authorize those persons designated as references to fully and freely communicate information regarding my previous employment and education. If an employment relationship is created, I understand that unless I am offered a specific written contract of employment signed on behalf of the organization by its President, the employment relationship will be "at-will." In other words, the relationship will be entirely voluntary in nature, and either I or my employer will be able to terminate the employment relationship at any time and without cause. With appropriate notice, I will have the full and complete discretion to end the employment relationship when I choose and for reasons of my choice. Similarly, my employer will have the right. Moreover, no agent, representative, or employee of Eason Painting Inc, except in a specific written contract of employment signed on behalf of the organization by its President, has the power to alter or vary the voluntary nature of the employment relationship.